It’s no secret that back to school can be the most hectic season of all. Even though the stacks of notebooks, folders, and tissues are out of our house (finally! ), we’re still feeling the aftermath. But soon we’ll see the leaves start to change color, the weather will turn cool, and the rush toward the holidays will begin. When things are feeling chaotic, I find that scents work wonders for my whole mood and productivity. Arm yourself with this free seasonal set of Mrs. Meyer’s fall hand soap, dish soap, and candle + pretty kitchen towel from Grove Collaborative! You can choose from Mum or Apple Cider scents, or mix and match like I did. 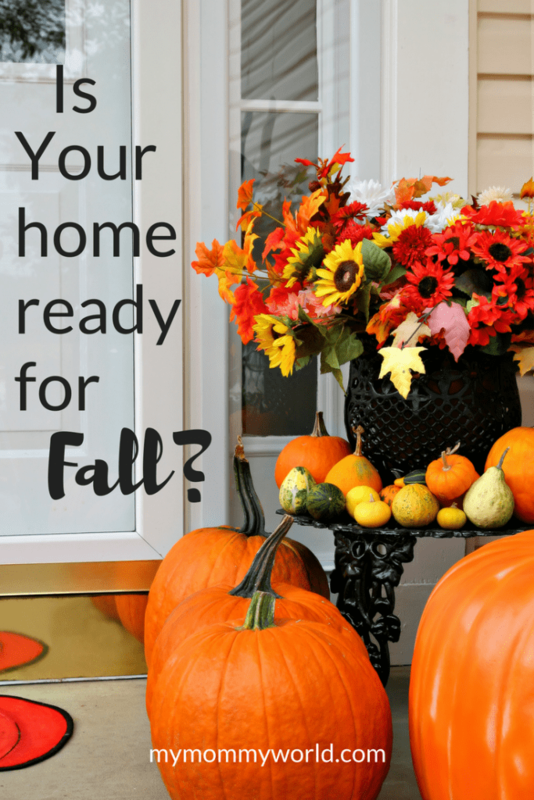 After you grab your free set, check out the rest of my back-to-school tips to get your home organized and in shape for fall! Create more time in the morning by choosing all the kids’ outfits for the week on Sunday. Then label hangers or bins with the days of the week so they’ll be able to get up in the morning and get dressed quickly. As grilling season winds down, my kids have been begging for comfort foods. Prep your kitchen for making macaroni and cheese, soups, and sweet potatoes with a fresh new kitchen towel. This Grove Collaborative chef’s towel is super soft and absorbent. Back-to-school season is also cold and flu season! Keep the sniffles at bay with a mouthwatering hand soap that kids can’t resist. 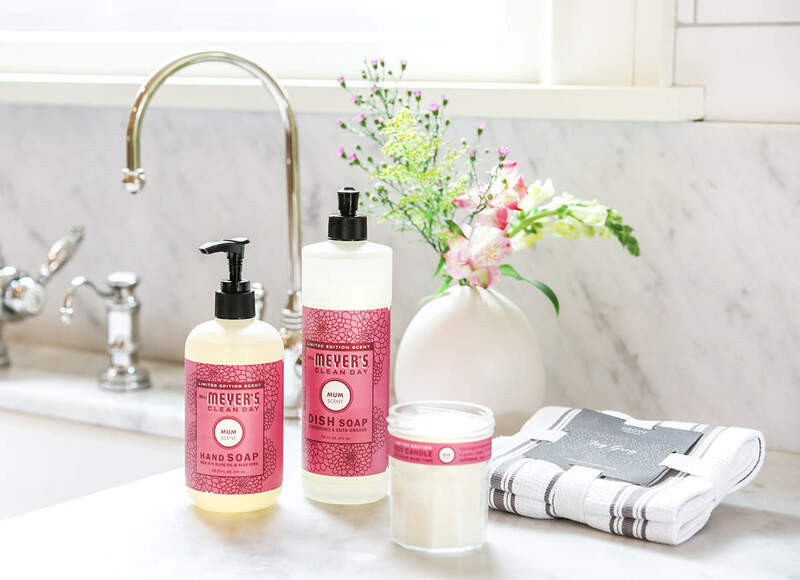 My kids love washing with Mrs. Meyer’s Apple Cider hand soap, and I love that it’s made with plant-derived ingredients. Football games and cooler nights call for a cozy sweatshirt. Take an hour before the kids get off the bus to rotate out summer clothes and reorganize your closet. You’ll be excited to reach for your old favorites in the morning! Another way to tame the chaos: Let Grove Collaborative do the shopping for you! 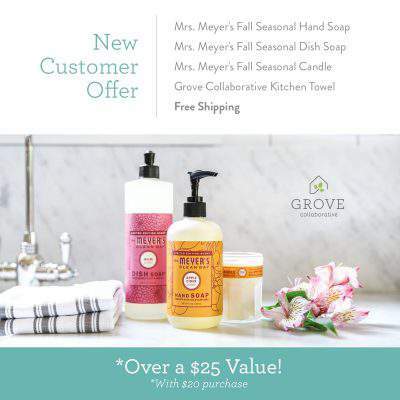 Grove ships your favorite natural household, personal care, and baby products to your doorstep, on your schedule. In other words, you won’t have to dash into the store after soccer practice to pick up toothpaste or paper towels. I find that I actually save money by using Grove, not just because of their affordable prices, but also because I’m not tempted to drop an extra $80 while I’m in Target. Using Grove also saves me time, since I don’t have to drive to the store, shop, then drive back. I can actually enjoy a leisurely dinner with my family or take our evening walk together. Plus, you’ll get the free seasonal set + free VIP trial with your first order of $20. For 60 days, save even more with free shipping, free gifts, price matching, exclusive sales, and personal service. Take something off your plate during this busy season and let Grove help you take care of your home! I really like Grove they have so many great items with great scents too. Makes my home smell great while I’m getting it clean. Yes! I love the minty fresh smell of the bathroom products I use. So much better than the chemical-ly ones where you need a mask to be able to breathe!